Part of a 1932 complex built for the People’s Commissariat of Railways, the 35m sq. 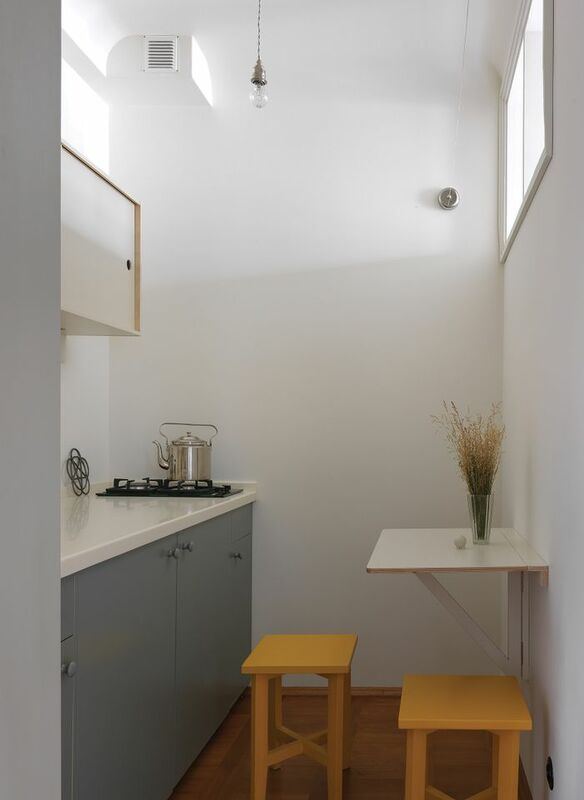 one-bedroom flat has a minuscule kitchen and bathroom, with a shower installed later since it was initially dismissed as an unnecessary luxury. Designed by the architect Ivan Nikolaev, who is best known for his design of a Moscow textile institute dormitory, the building is almost monastic and provided purely functional communal housing. So far the apartment has received positive reviews on Airbnb for its aura and cleanliness. It has drawn both fans of the avant-garde and of football, with the first guests visiting for the FIFA 2018 World Cup. 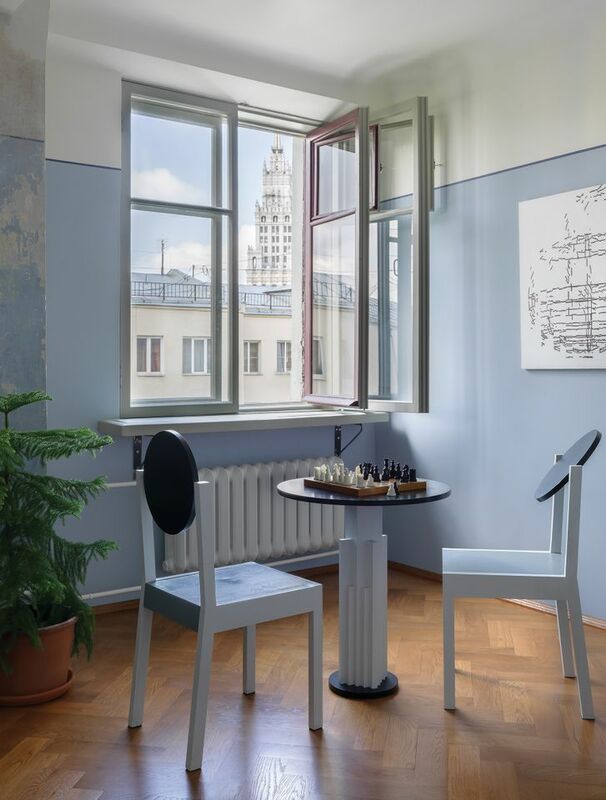 Dudnev and Gudkov brought in fresco restorers; worked with the interior designer Mariya Pilipenko; and commissioned Less design studio to recreate avant-garde furniture for the flat, including Nikolai Suetin’s famous Suprematist chair and table set as well as other designs they discovered in archives. The sofa is upholstered with a fabric made from a design by the Russian artist Lyubov Popova. 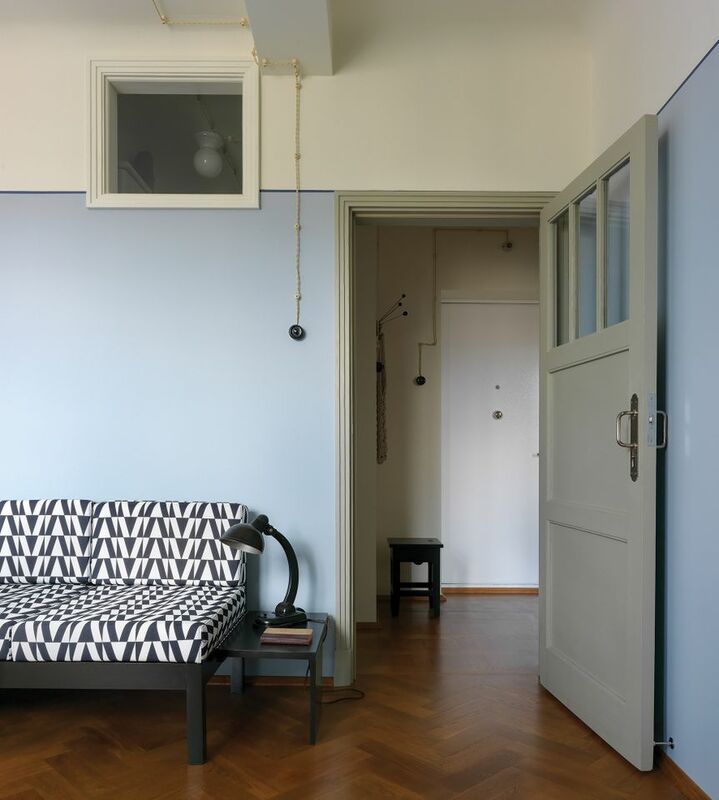 The creative duo turned their architectural interest into an investment when they discovered that Constructivist apartments are surprisingly cheap. First they moved into Obrabstroi, an early Soviet communal housing complex resembling Moisei Ginzburg’s Narkomfin building, which is now being transformed into luxury housing. Archival research helped Dudnev and Gudkov secure historical cultural heritage status for Obrabstroi in October but is also becoming more difficult, with authorities cracking down on access to archives. Dudnev and Gudkov then bought the Constructivist apartment, directly across the railroad tracks, for 9m rubles (£107,000), restored it for 2m rubles (£24,000), and rent it out on Airbnb for around £65 a night including fees. The space also acts as a showroom for their 1931.center project that aims to promote avant-garde architecture and design. They are now planning an online store and possibly a permanent shop for avant-garde furniture designs.